The Reaper BBQ Sauce - This barbecue sauce was designed to test the limits of Cajohns slogan, Flavour with Fire! 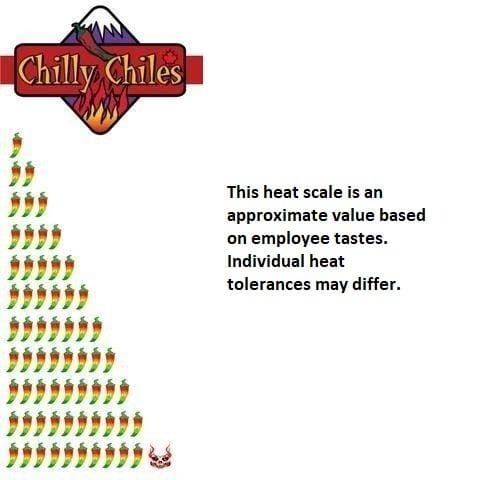 While we expect it to be too hot for most, avid Chileheads will find this to be exactly what they are looking for! Ingredients: Tomatoes, Brown Sugar, Vinegar, Corn Syrup, Soy Sauce (Water, Wheat, Soy Beans, Salt), Worcestershire Sauce (Vinegar, Molasses, Corn Syrup, Water, Salt, Caramel Colour, Garlic Powder, Sugar, Spices, Anchovies, Tamarind, Natural Flavours, Black Pepper) Habanero Chiles, Carolina Reaper Chiles, Garlic, Onion, Cayenne Chiles, Chile Caribe, Salt, Spices, Natural Hickory Smoke Flavour. Loved it! Great flavor and not too much heat. This stuff definitely has a massive kick. Full mouth burn and wonderful smokey flavour. Great sauce and customer service! The sauce itself is great. I use it on everything from burgers, to steak, to dipping chicken nuggets. I wish it was hotter. It's definitely a step up from their Trinidad Scorpion BBQ sauce (which I still like, a lot) but I wish it was a bit hotter.